This unit spreads fresh and tasty rice without it being squashed or smashed. Anyone can make rice readily and quickly with our latest design. The LCR-700 is the ideal model for people who want to make highly-quality sushi rolls. You can minutely control the compressive strength and density of the rice with the newest, color, touch LCD monitor. You can adjust rice-layer-thickness and the spot-spreading rice shape with the touch LCD monitor. It is a machine which is able to make large, medium, or small sized sushi rolls. The LCR-700 is able to make warm sushi rolls, because you can control the process temperature inside of the machine. Efficiency will be maximized with the ability to make various types of sushi rolls with the LCR-700. 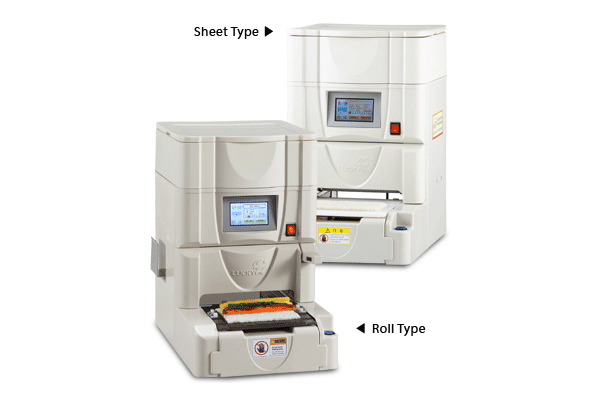 The LCR-700 is a compact-sized model, so it may be placed in small spaces. Sorry, this download is not available yet!